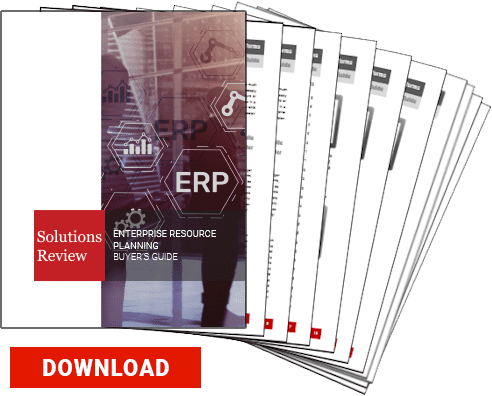 DDI System, leading provider of enterprise resource planning (ERP) software for wholesale distributors, announced the release of Inform version 19. The new Inform ERP helps to improve performance and offers greater ease-of-use to wholesale distribution companies. The new release captures more than 300 enhancements and comes on the heels of the company’s 25-year anniversary. DDI’s modern-day solution for wholesale distributors drives operational excellence with customer intelligent tools that help distributors win amidst digital disruption. Version 19 combines the power of customer connectivity tools with elite operational workflows to gain efficiencies and reduce errors. “The latest upgrade of DDI Inform ERP brings an all-new Sales Order Managment screen with copy paste item entry, image integration and embedded CRM to dramatically improve customer service and increase efficiency. Other enhancements include a secure EMV payment card gateway, customizable eCommerce tools and the addition of pictures and notes to Inform’s ePod signature capture app,” said Barbara Jagoe, Chief Operating Officer. The new release introduces innovative Drag & Drop technology for e-commerce storefronts making it easy for distributors to display their full product catalog online quickly and affordably. Whatsmore, DDI System also introduced its EMV ready credit card processing. Point of sale (POS) transactions will be handled through TSYS, formerly known as Cayan. This convenient payment processing option provides customers lightning-fast chip transactions, card swipes, and debit card transactions that are fully-encrypted and tokenized, ensuring cardholder data never passes to POS, e-commerce, or merchant systems. DDI’s enhanced ePod Signature App has been rolled out with a new interface. A built-in camera control gives drivers the ability to take and upload pictures to orders as attachments. Drivers can also enter comments relative to refusals, damages, or other delivery related issues for seamless communication. Inform DC, DDI’s Warehouse Management Solution, continues to evolve with added tools developed to drive efficient warehouse operations. The latest release features instant update and order sharing, next-generation lookup, paperless order picking, pick path customization, pulled order locations, and special-order staging. For current users of Inform, DDI’s completely refreshed Online Help File and Training Guides provide easy access to additional learning tools and department focused training. The added features give Inform users a quick way to access the help file and online training while simultaneously working through any given situation. For more information, visit www.ddisystem.com/demo.